This is the resources page for everything an amateur astronomer needs to either get started or get better at loving the night sky. Astronomy-Links.net is an incredibly comprehensive guide to the best astronomy blogs and resources on the Internet.​ You will not be lost for answers with this guide. Amateur Astrophotography​ – An Ezine is published here every month that contains some of the most spectacular pictures, like the ones I post on the Love the Night Sky Facebook page. Astroblog​ – Ian Musgrave is an amateur astronomer based in Adelaide, Australia. He writes on his blog several times a week and is a great source of detailed information for the southern night sky. The Space Writer​ – This site is written on most days by Carolyn Collins Peterson, an acclaimed space science and astronomy writer. Her posts do a great job of capturing the awe of our solar system and universe with an almost poetic writing style. Sky Lights​ – Is a blog written weekly for over ten years(!) by Dan Heim. He covers the whole sky, including meteorology, but his posts on astronomy are insightful and thought-provoking. I’m really enjoying this book by Carolyn Collins Peterson (of The Space Writer, above). In it she simply takes apart everything an astronomer could be interested in, from planets to galaxies and nebulae to the Sun, and describes in simple but beautiful writing exactly what’s going on, why and how we learned about it. Turn Left at Orion is a ‘must have’ for the backyard astronomer. It not only shows you the best sights in the night sky, but also exactly what they’ll look like in a small and medium telescope and how to star-hop your way to finding them! In my experience, there is no better way of finding your way around the a telescope and the night sky than with the help of other amateurs. You can click on this link to get to the clickable map for every astronomy club in the USA. The Astronomical League is an umbrella organisation which promotes amateur astronomy to the general public of America (you can become a member-at-large if you’re outside the USA). Over 200 of the astronomy clubs mentioned above are affiliated to the Astronomical League, and we heartily recommend you join through your club or, if you’re not a club member at this time, through this link. The ASP has a mission to connect scientific advances with the general public. Specifically to astronomy, they are a nonprofit organisation over 100 years old. They work closely with NASA and help schools, astronomy clubs, etc with toolkits, guides and so on. Click this link to go to their homepage and sign up for membership. My personal favourite is Sky & Telescope Magazine (you can read my review here) but these three are all great. To get the most out of observing the moon, I strongly recommend spending less than $10 on a moon map, click here to buy the one that I use from Philips. 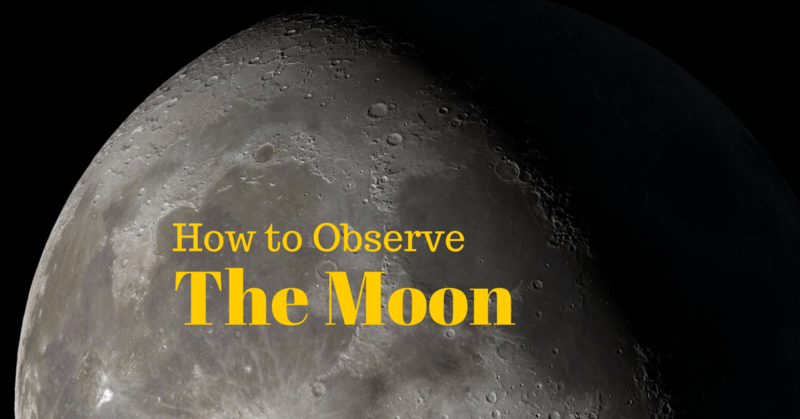 Read my detailed guide to observing the moon by clicking here, or on the image. Stellarium is a ‘must have’ piece of software for planning a night’s viewing. It is absolutely FREE to download, and can be grabbed by clicking on this link for both PC and Mac. When you’re outside at the scope star-hopping to tonight’s NGC object of desire… you will need a sky atlas and a red light to see it with. There is only one choice for me, which is the Pocket Sky Atlas by Roger W. Sinnot and this Rigel Systems Starlight Red Flashlight ​(recommended on the Cloudy Nights astronomy forum) so you can see it without ruining your dark-adjusted eyes. Can’t decide what to look at in the night sky if it’s clear? But, for some slightly longer term planning, there is no beating Sky & Telescope Magazine’s ‘This Week’s Sky at a Glance‘ section. Links: Please note, some of the links in this article are affiliate links. You can find out more by clicking on ‘affiliate links’ in the footer.